Increasing car population causing problem for parking system. 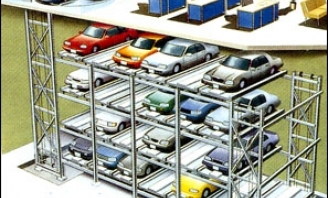 The only solution is to accommodate more cars in a shorter space. 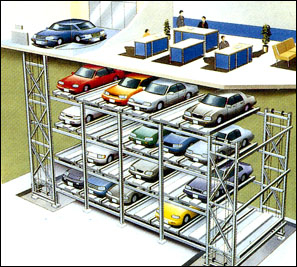 Hence multi level parking is the solution. This can be to and more storied system depending upon the height restriction.this is a hydraulically operated system for quick operation with safety device .